You can now view 5 of my most popular songs on Youtube! What song do YOU want to walk down the aisle to? It should fit your personality PERFECTLY! 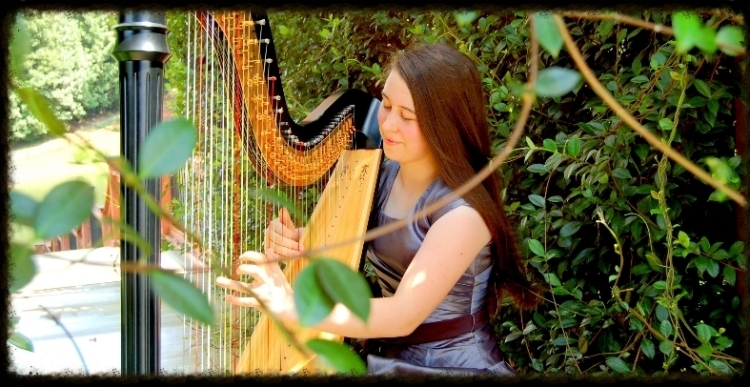 There are so many options, from the traditional and classic "Bridal Chorus", the more requested (Pachelbel's) "Canon in D," or even the brand new Christina Perri's "A Thousand Years" Imagine walking down the aisle to angelic harp music while gazing at your intended and "hearing" the refrain, "I have died every day waiting for you..."
I have just recently acquired a Youtube Channel and have uploaded 5 of my most popular songs. I truly feel that you will be blessed with one and all of them. If you have a Youtube Account, please be sure to subscribe! 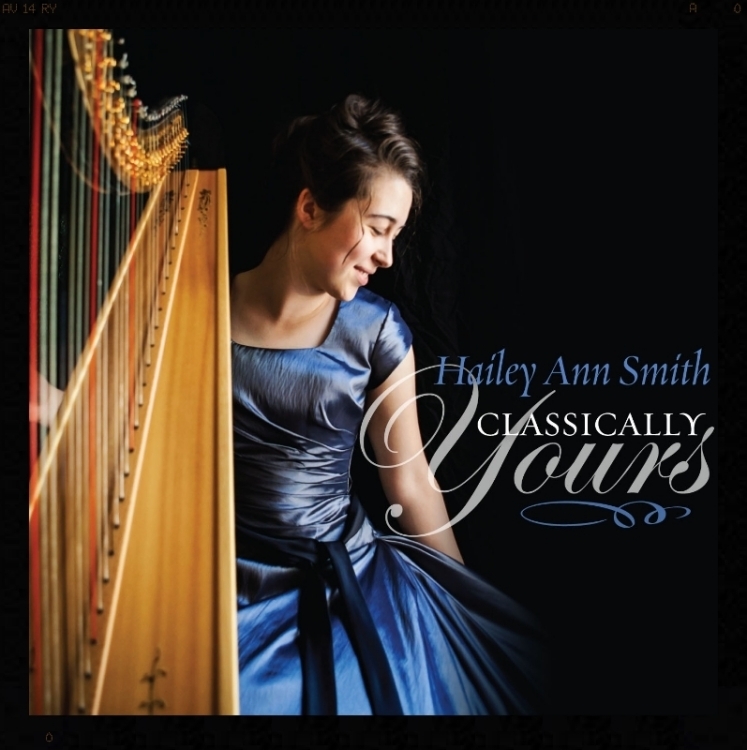 I am pleased to announce that my CD "Classically Yours" is now able to be "yours!" I have gotten so many requests for my CD in hard-copy form. The cover is printed, the copies are burned, the finished product is delivered, and all that's left is shipping to you! They will be available for $16 on my website (including shipping), $10 in person. Thank you for all your support! Can you name the 5 rights in the 1st Amendment? It is vitally important to know. The first one is "Freedom of Religion." Being perhaps the most important right, it allows us the freedom to worship God, the right that the compelled the Pilgrims to leave their homeland to find. The exact words of the amendment are: "Congress shall make no law respecting an establishment of religion, or prohibiting the free exercise thereof." Billy Graham once said, "We were to have freedom of religion, not freedom from religion." The second one is "Freedom of Speech." This gives us the right to speak our mind regardless if others agree with our views or not. The third is "Freedom of the Press." Without this, we would only get one side's view of the argument..... Today we call this the media, and it includes everything from newspapers to billboards. The fourth is the "Right to Petition the Government to Redress Grievances." The first significant exercise and defense of this right within the U. S. was to advocate the end of slavery by petitioning Congress in the mid 1830s, including 130,000 requests. The fifth and last is the "Right to Peaceably Assemble." Attorney Don Brown has a saying that goes along with it, an excellent way to permanently retain this information: Religion, Speech, Press, go Assemble, Address. Ashokan Farewell is an Old American Folk song dear to the hearts of all who cherish the way things used to be. It is composed by Jay Ungar about a town of Shokan in the Catskill Mountains of Rural New York. It is so important to know our God given rights written in the Constitution of the United States. If we are to protect them, we MUST know what they are. At the making of the Constitution, there was no Bill of Rights, for the Founding Fathers believed that it would be outlandish to list the certain "inalienable" rights, because they thought that the people might assume that the Government was in the place of God, allocating these liberties. I have recently added a new Music Player to my "Listen to Sample CD Music" page on my Website. Click on the picture below to listen to 30 seconds of 18 different songs on my new CD. Sample titles include: "Simple Gifts," "A Thousand Years", "Ashokan Farewell," and many more!